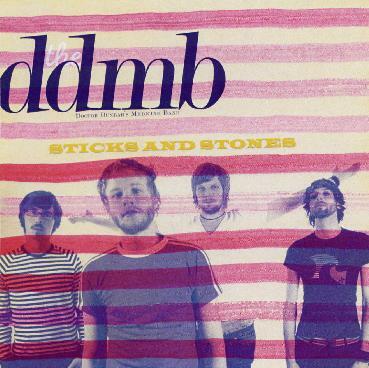 Doctor Dunbar's Medicine Band - "Sticks and Stones"
DDMB is a pop rock band from Lund, Sweden. This EP features 5 tracks in 16 minutes and has very nice production. The band have been around since 1999 and produced 4 demos and one full length CD (in 2005). This material is pretty much straight up 70's inspired rock music with a little strangeness thrown in (mostly by the cool keyboard lines) with a melodic pop edge. Not as mainstream sounding as awful Danish pop (thankfully!) but probably poppy enough to get on Swedish radio. Well played. For more information you can visit the Doctor Dunbar's Medicine Band web site at: http://www.ddmb.se. Visit the Ant Nest Records web site at: http://www.antnestrecords.com.